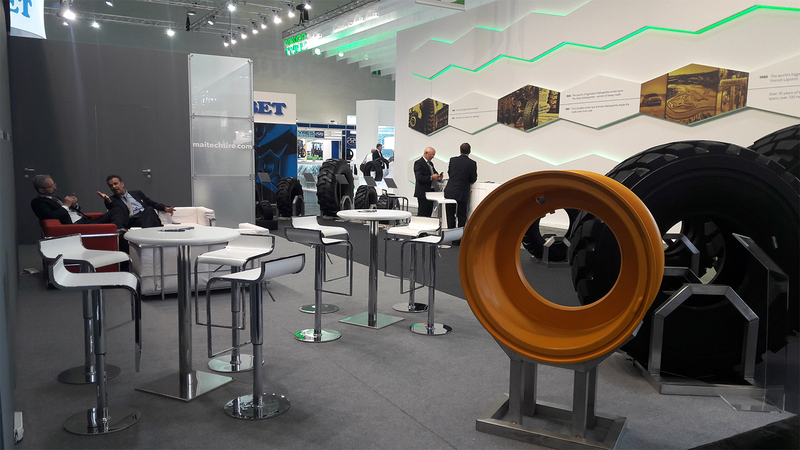 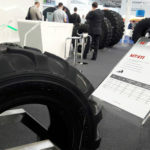 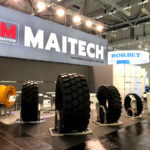 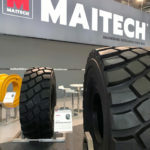 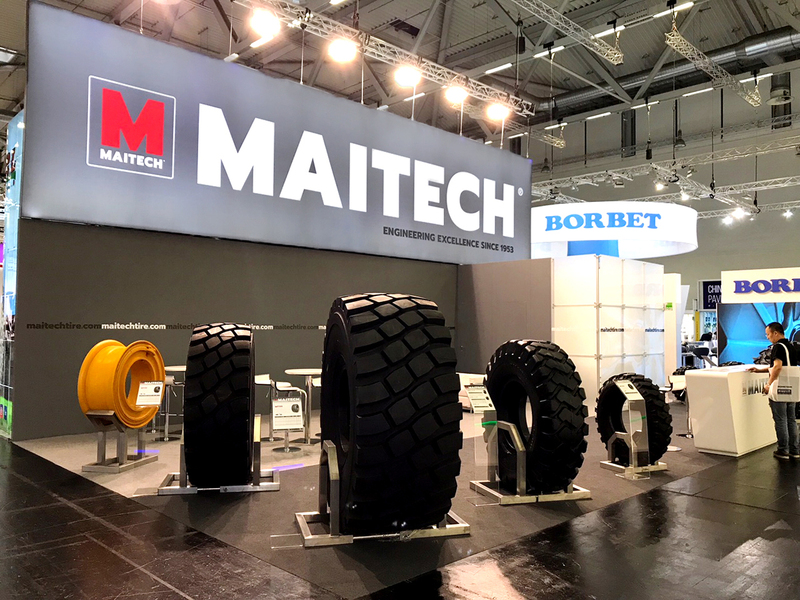 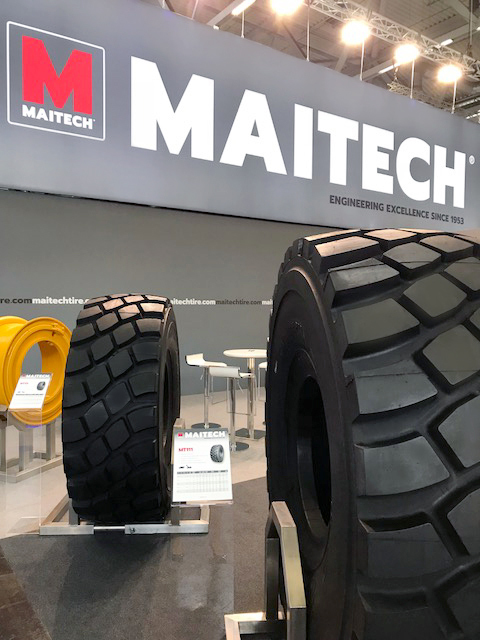 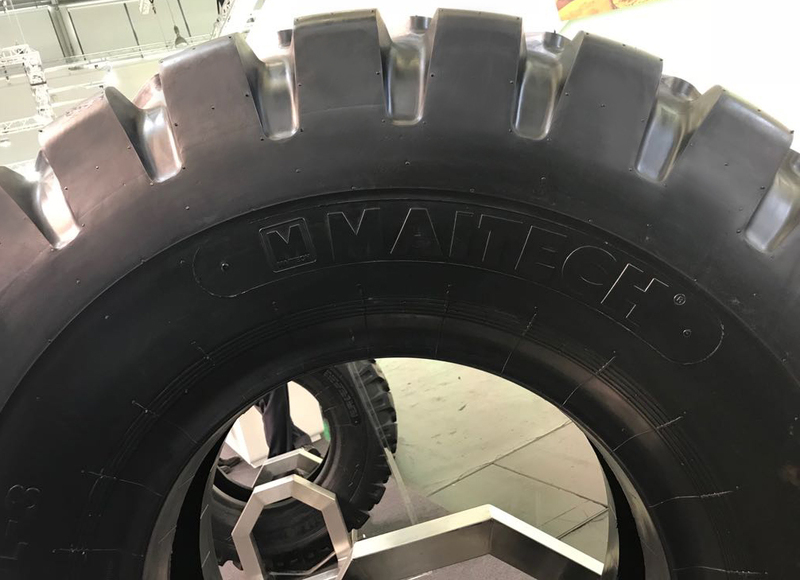 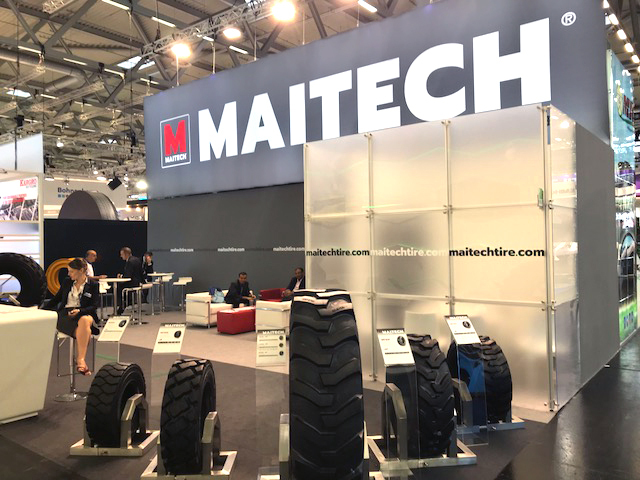 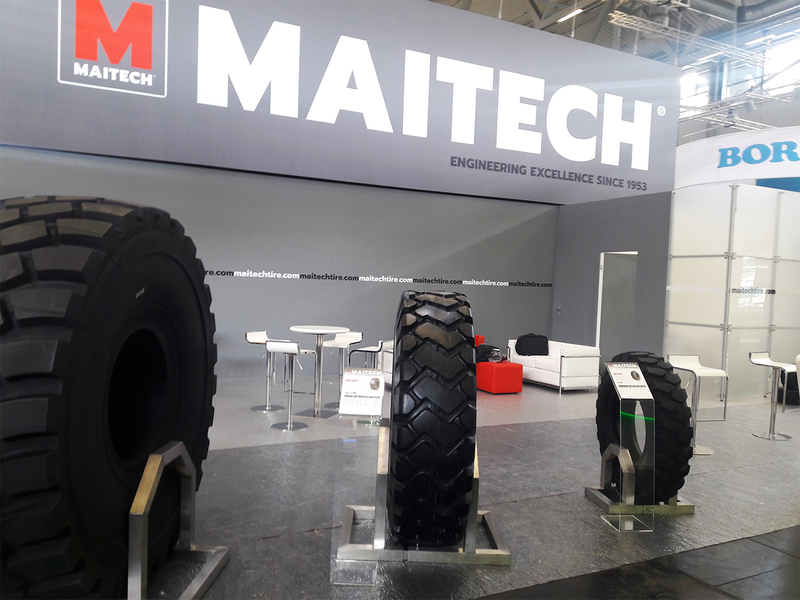 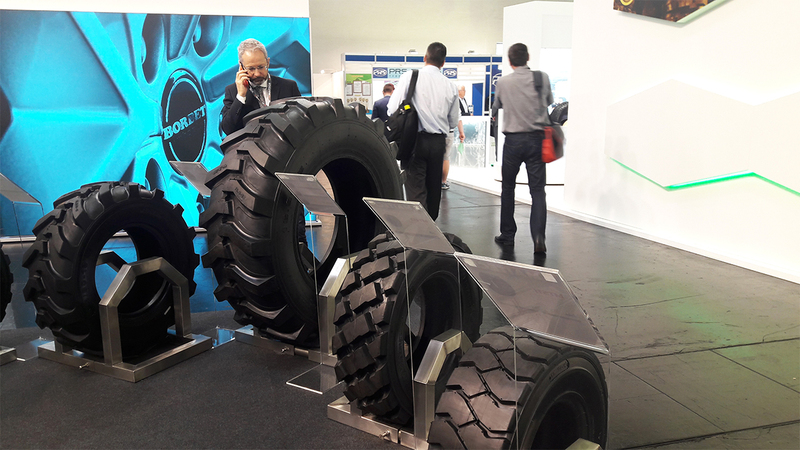 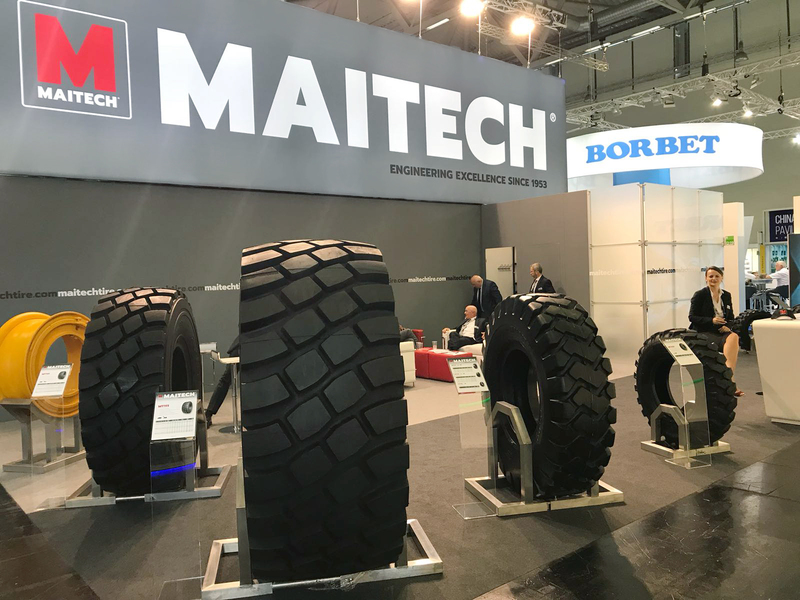 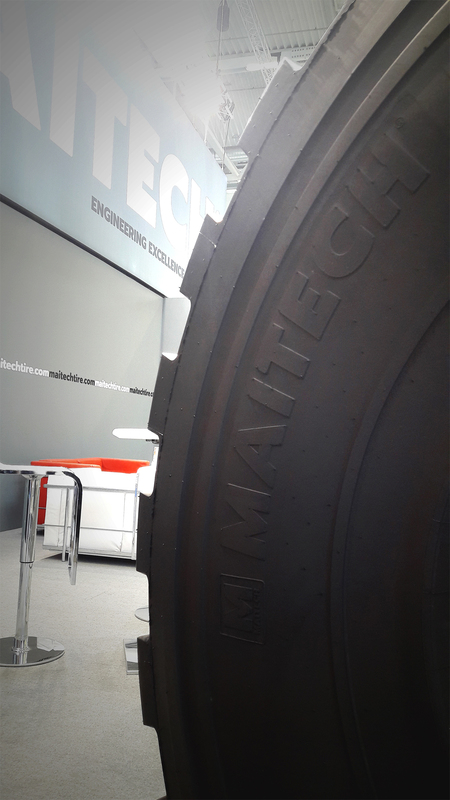 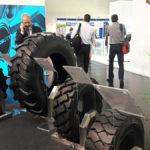 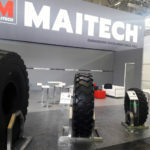 Verona-based MAITECH TIRE was one of the 530 exhibitors at the recent ‘The Tire Cologne’ trade exhibition, held between 29 May and 1 June. 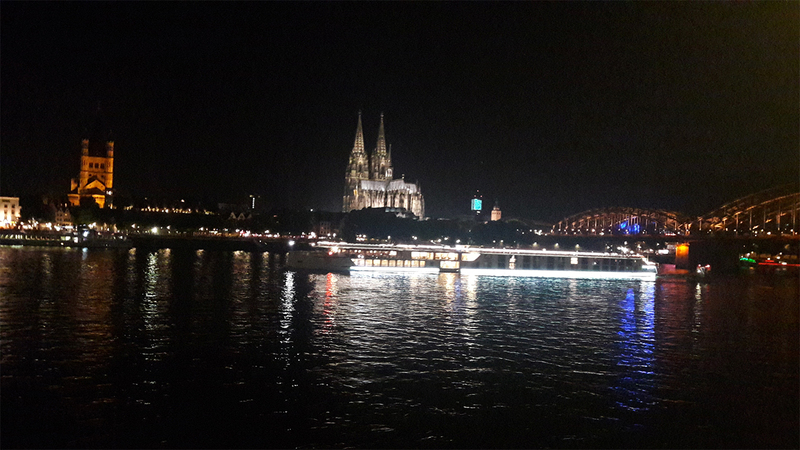 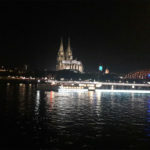 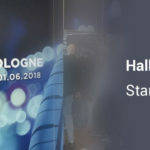 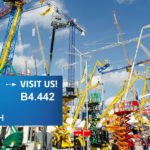 This was a new event and the organisers are pleased, as initial estimates suggest that over 16,000 people from 113 countries visited the show, 60 per cent of whom came from outside Germany. 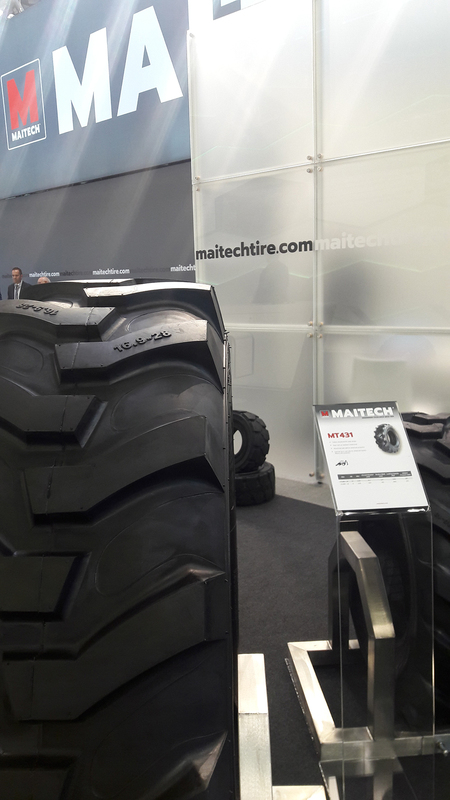 Stars of the 84 square metre MAITECH stand were two examples of the company’s new range of premium, all-steel radial OTR tyres; the MT111, making their exhibition debuts. 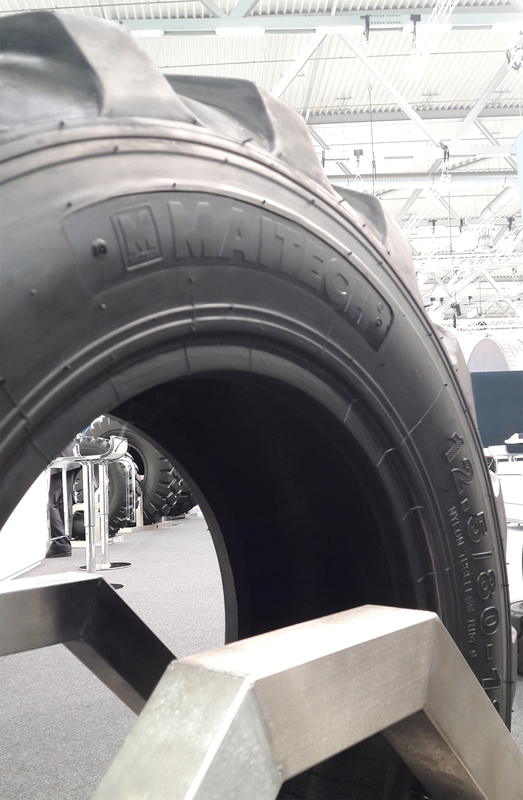 These tyres are suitable for loader and dumper operations and are designed for enhanced stability, greater longevity and smooth operation. 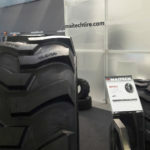 They are also robust, with wear and scuff-resistant compounds and reinforced scuff bands for maximum sidewall protection. 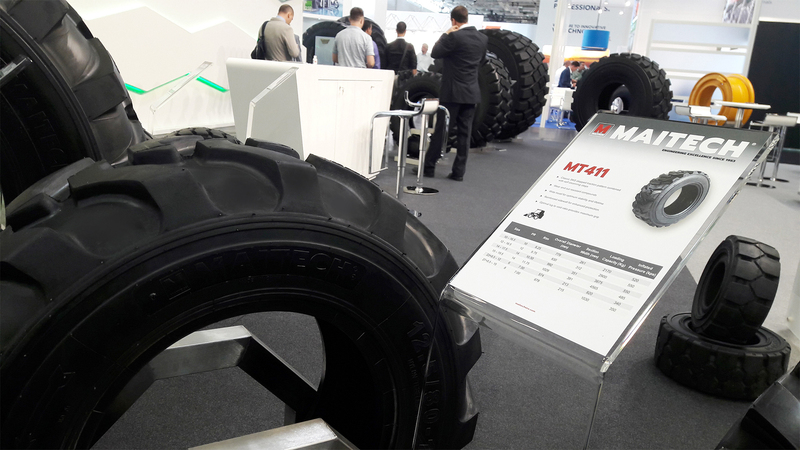 The two MT111 tyres on show were sizes 29.5R25 and 23.5R25, both E3/L3 pattern. 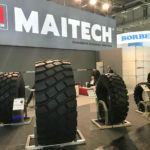 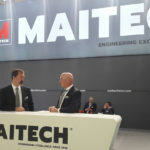 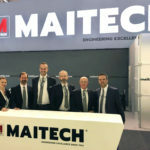 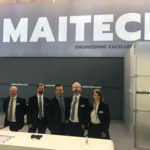 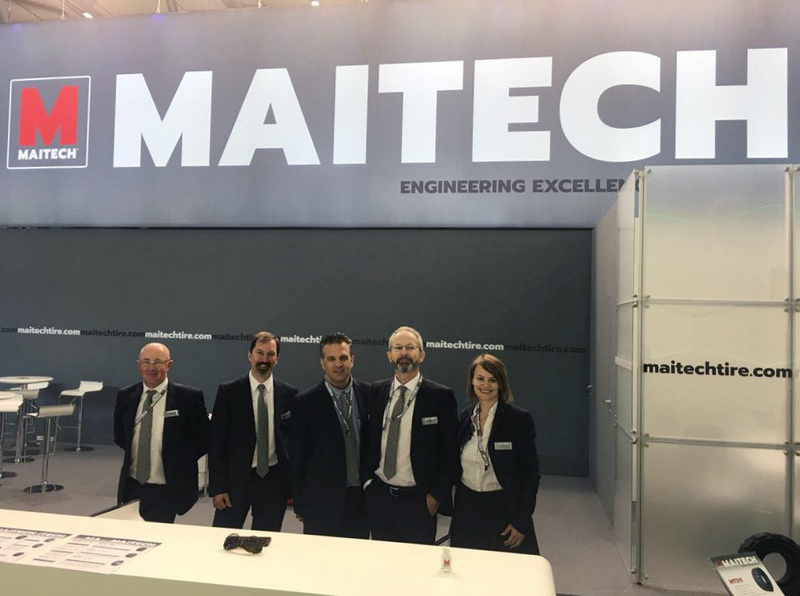 The tyres attracted a great deal of interest, and the three technicians and three sales and marketing personnel on the MAITECH stand were kept busy dealing with questions and enquiries from a steady stream of visitors from all parts of the globe. 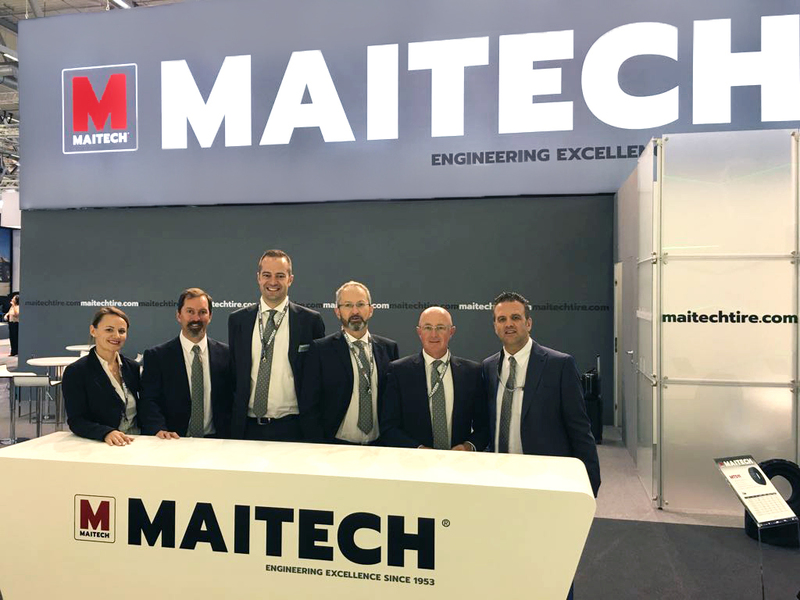 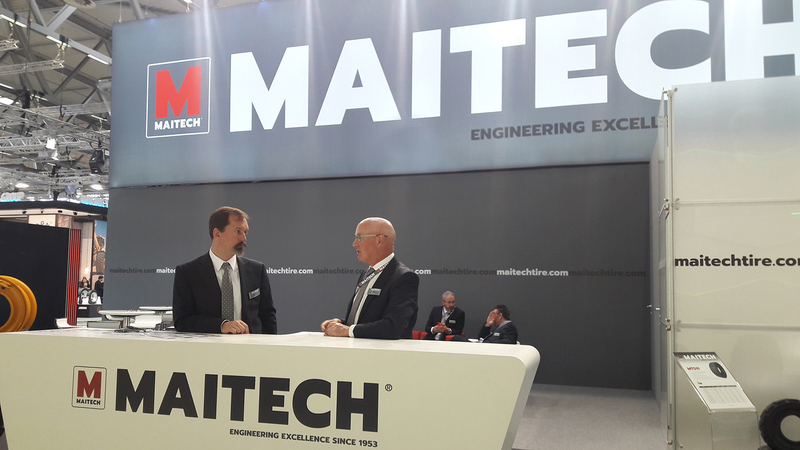 As well as discussing the products, the stand personnel were also able to highlight the added benefits for MAITECH customers, such as the high standard of manufacturing quality and European engineering, alongside the value for money prices and the company’s dedicated partners programme. 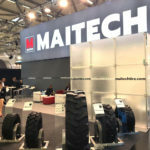 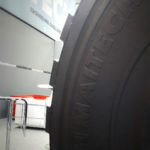 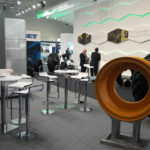 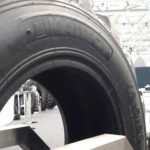 MAITECH has a long-standing reputation as a supplier of speciality tyres and this was reflected in the other exhibits on the stand, which included bias OTR and speciality tyres, plus one of the company’s range of heavy duty OTR wheels. 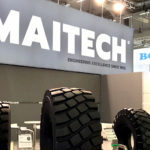 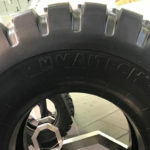 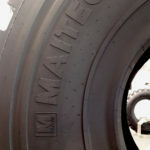 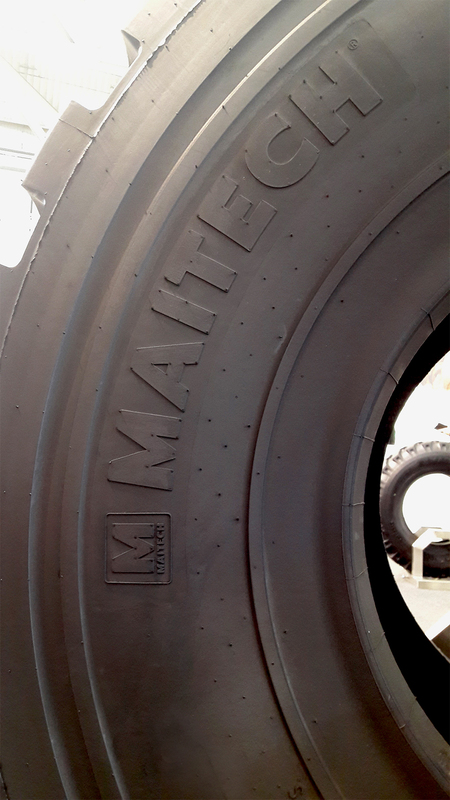 Other tyres available from MAITECH include E4/L4, L5 and L5S patterns and rigid dumper tyres for rims from 25” to 49”.